The first message in our series Behold What Love by David Varney. The letter of First John can be understood as a study of the Christian concept of love. 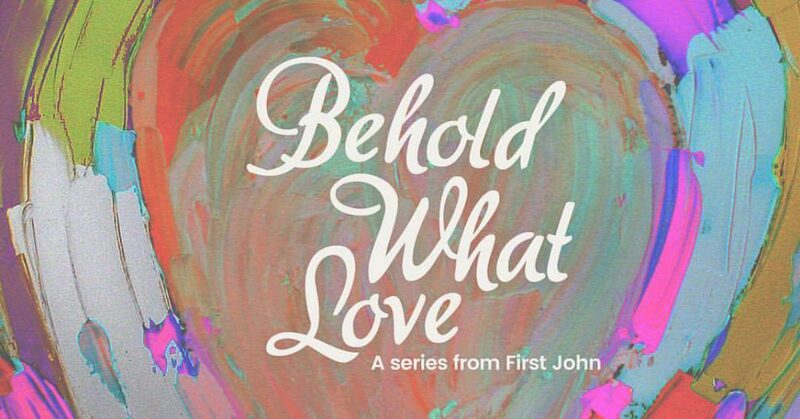 Love, according to John, originates in God himself – it is part of who he is. Our love is to be a reflection of God’s character. For John, love is more than a philosophical concept. It has shape and definition. It finds its expression in real relationship – with God himself and consequently with one another. Our first message focuses on one application of the love of God – found in gospel fellowship. Here we see that it is impossible to claim to know God and yet live life in moral and sociological darkness. John gives us the reason why this is the case and takes us to the source and power for real relationship and community found in gospel fellowship. Bible text: 1 John 1:1-10.